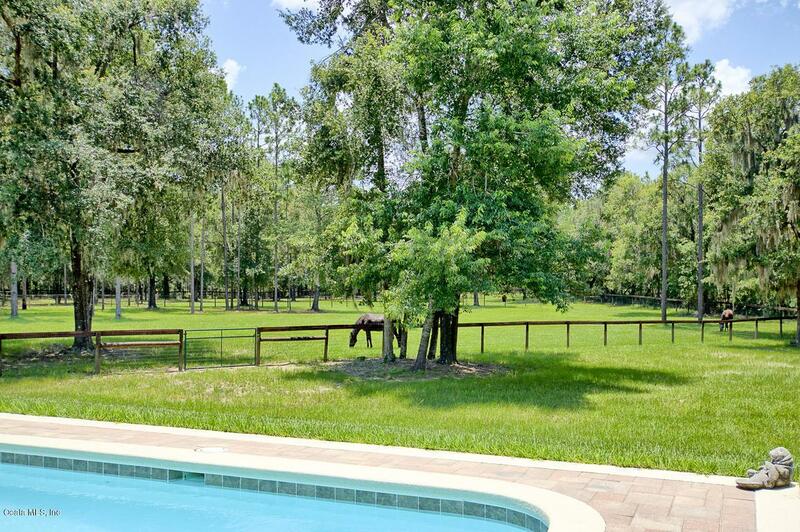 Trail Riders and nature lovers.... You're going to love this farm located in the premier community of Forest Ridge Trails with direct access to the Goethe Forest! Enhanced by the natural surroundings, the 4/2 home is open and airy with volume ceilings and wonderful views in every direction. Private and serene yet convenient to shopping, the home features beautiful wide plank wood floors and granite countertops. A cozy lanai that offers wood plank tile floors and corner, stone fireplace for chilly nights, overlooks the gorgeous pool area with large deck, patio pavers and three sizable lush green paddocks beyond graced with aged old Oaks. 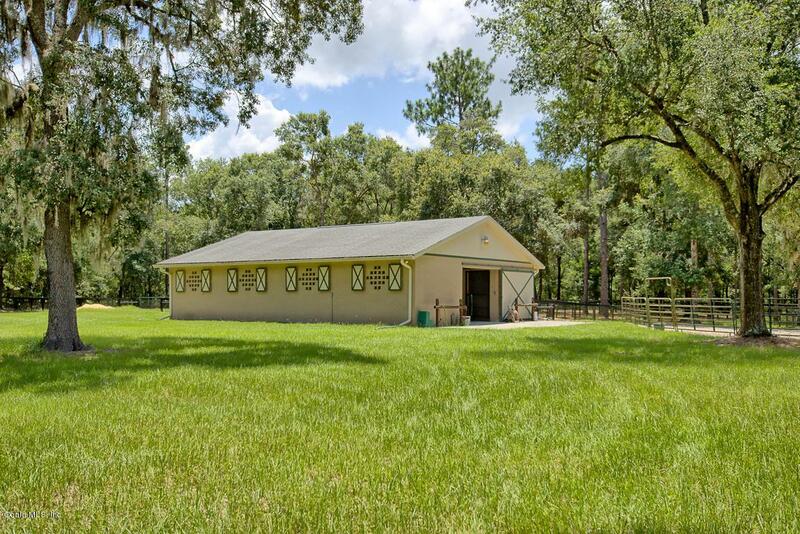 The farm is complete with a whole house generator and 7 stall concrete center isle barn with feed/tack, double Dutch doors to individual turn-outs andsliding end doors. Ride off property to the Goethe or hack on the 4 miles of neighborhood trails. Also a round pen and covered trailer parking for all your horse farm needs. 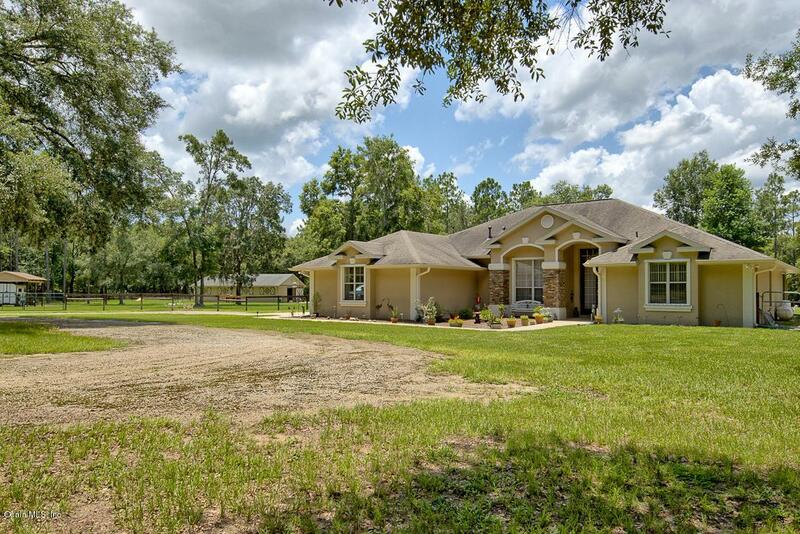 Centrally located to Ocala, Gainesville, Chiefland, Dunnellon and Cedar Key with grocery 10 minutes away and UF nearby. 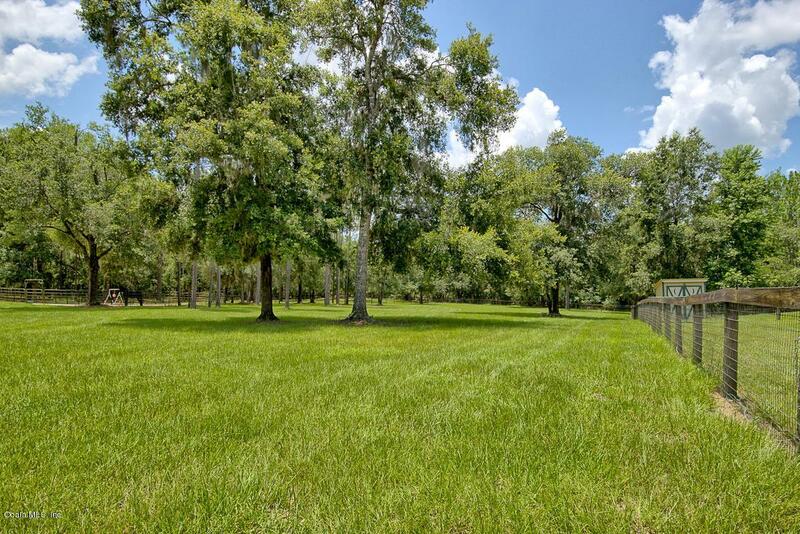 This one owner farm is truly a gem for any discipline!